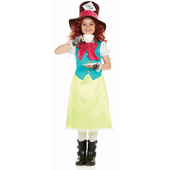 Kids Madeline Hatter costume includes a pretty multi-coloured dress with bow detail and a printed necklace. 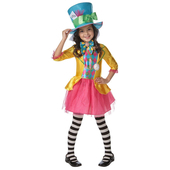 To complete the look a pair of polka dot tights are also included. 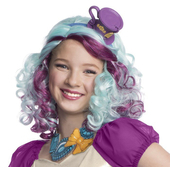 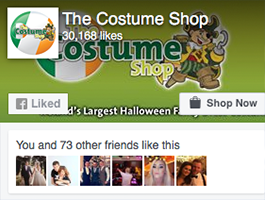 Please note that the gloves, hat,and wig are not included but may be purchased separately.